Every morning at my school, all support staff and specials teachers go to their assigned "Mighty Minds" classroom for 30 minutes. 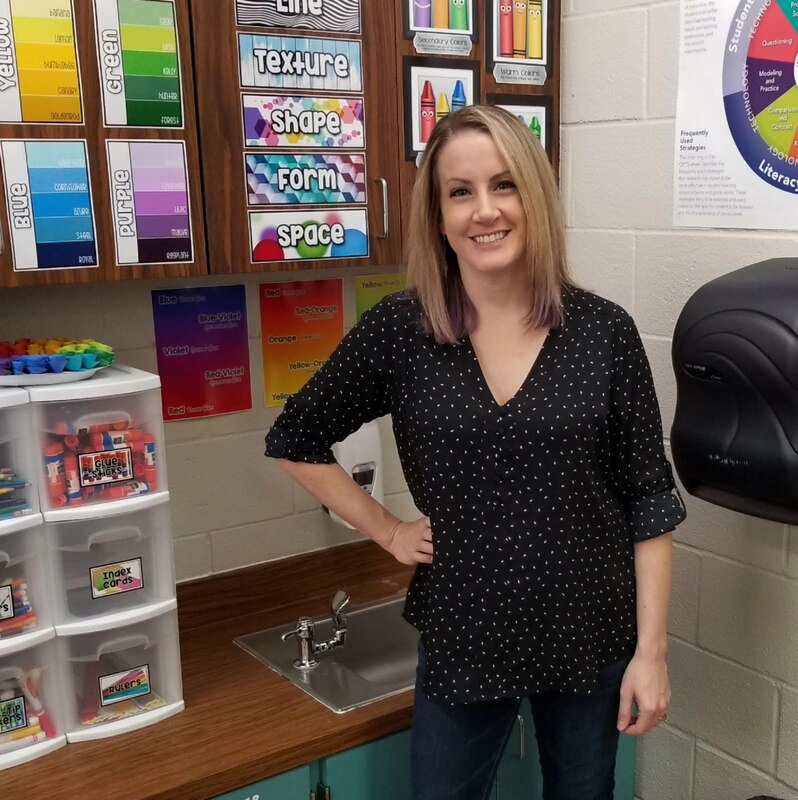 Mighty Minds is an additional math program at my school where two teachers work together to help student's improve their math skills and knowledge. This year I was paired up with a 2nd grade teacher and this past week we've been working on "make-a-ten" addition. 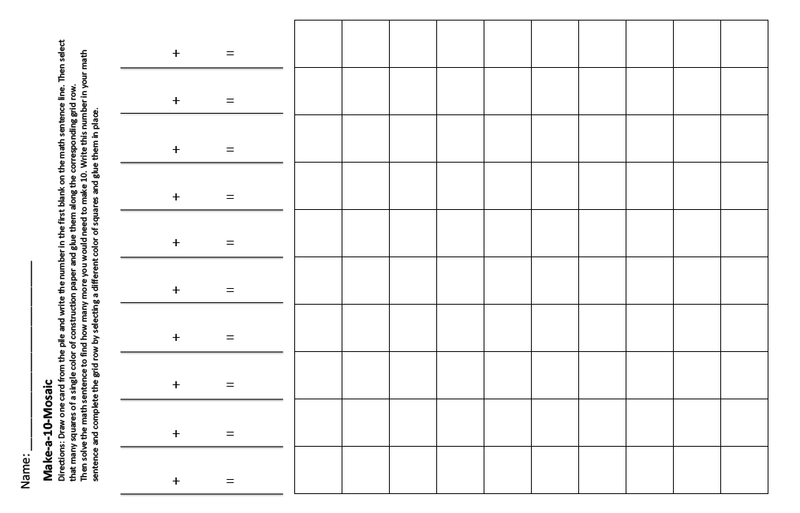 Students are expected to become fluent in the make-a-ten math sentences.. (1+9=10, 2+8=10, 3+7=10... and so on) by the end of the week. 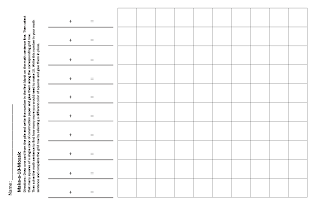 Unfortunately many of the kids in our class were not quite there yet by the end of week one.. so we rolled make-a-ten math into a second week. 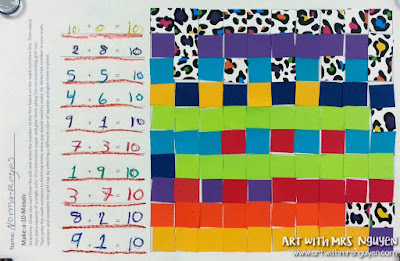 This is when I got the idea of doing an arts integrated math lesson! 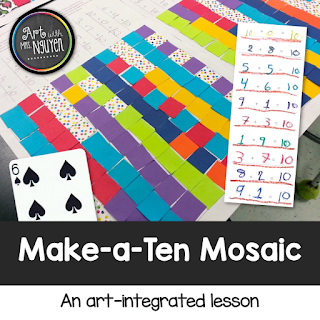 I really wanted the more visual students to be able to really see the problems they were solving.. so I came up with the idea of a "Make-a-Ten Mosaic". Students were given the make-a-ten mosaic worksheet I created specifically for this lesson (which has a 100-square 1" grid on it), a deck of playing cards (with the Jacks, Queens, and Kings removed), an assortment of 1"x1" square pieces of colored construction paper, and a glue stick. The first thing the kids had to do was draw a card from the deck. Whatever number they drew was the number they wrote in for their first addend in their math sentence. Students then selected one color of construction paper squares to represent this number on the corresponding row. 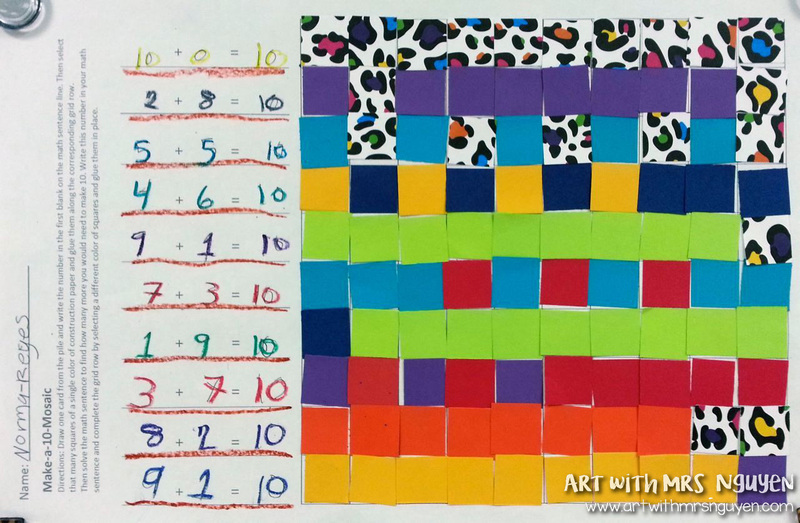 Once these squares were glued in, students had to figure out how many more they needed to be able to make a full row of ten (which was visually very easy to see). Once they wrote the second addend in their number sentence, students then picked a different color to use to represent this number. 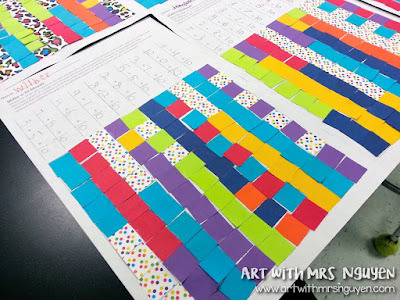 Students were told they could pick whatever colors they wanted to but there should only be 2 different colors per row (since it is only a 2 addend math problem). 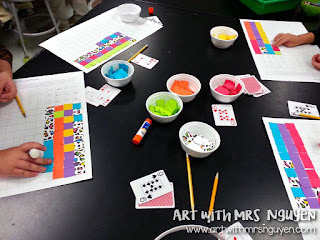 I also told them that they could glue down their colored squares however they wanted to on the corresponding row (they could even make a pattern) because regardless of their order, the sum would still be the same! If you're interested in purchasing this resource, check out my store! Also available in my Teachers Pay Teachers store! LOVE these! This STEM sonnection is brilliant and they look super cool! Your group is lucky to be with the art teacher :) What a fantastic project.